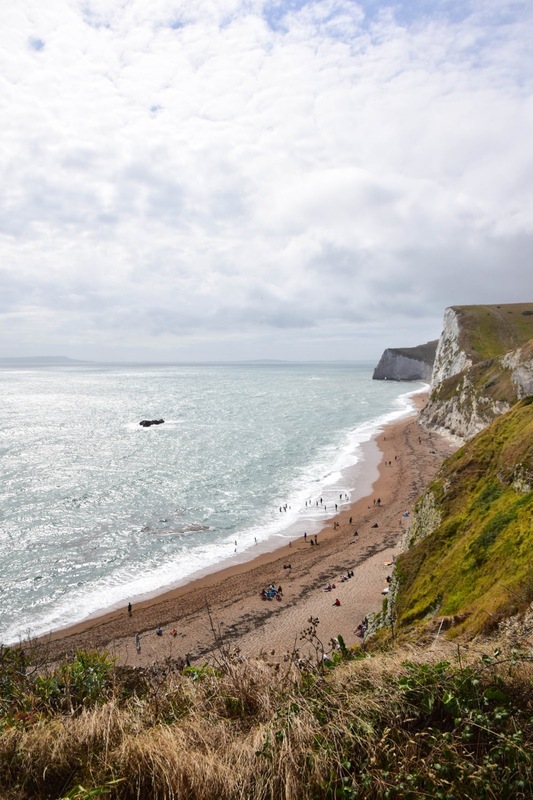 The day we traveled from Romsey to Dartmouth along the Jurassic Coast was undoubtably the furthest, longest and most stunning day's drive of our trip. Along the way, we hit the Old Harry Rocks (which we reached via ferry! 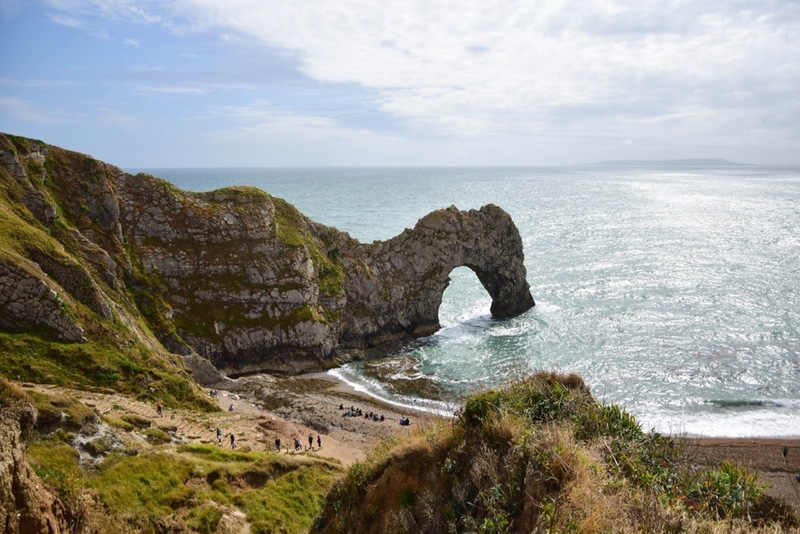 ), Lulworth Cove, the Durdle Door, and West Bay — all staggering sights neither Lia nor I had ever seen before except in photographs. They were all so dramatic and awe-inspiring I was dumbfounded that I hadn't read or heard more about them when I had been living in the UK for all the years that I did. 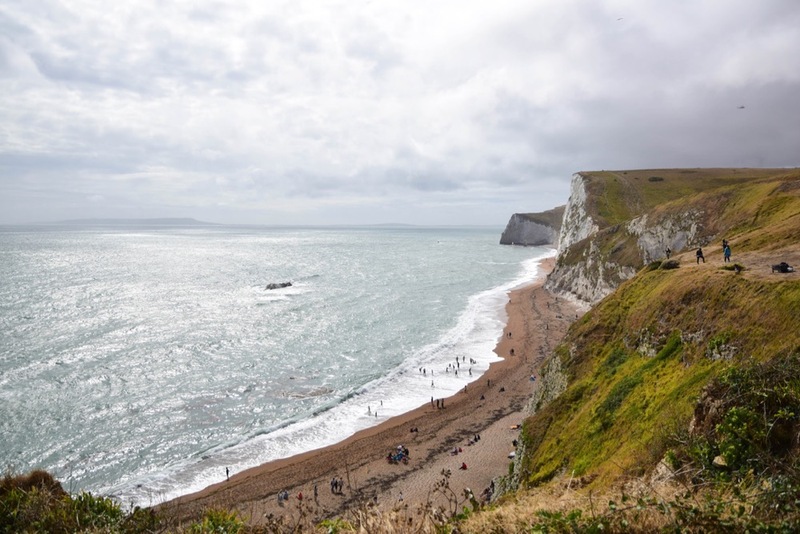 We have a coastline that can rival some of the other astonishing parts of the world I've visited for beauty, and yet I was only just learning about it as I was witnessing it with my own eyes. 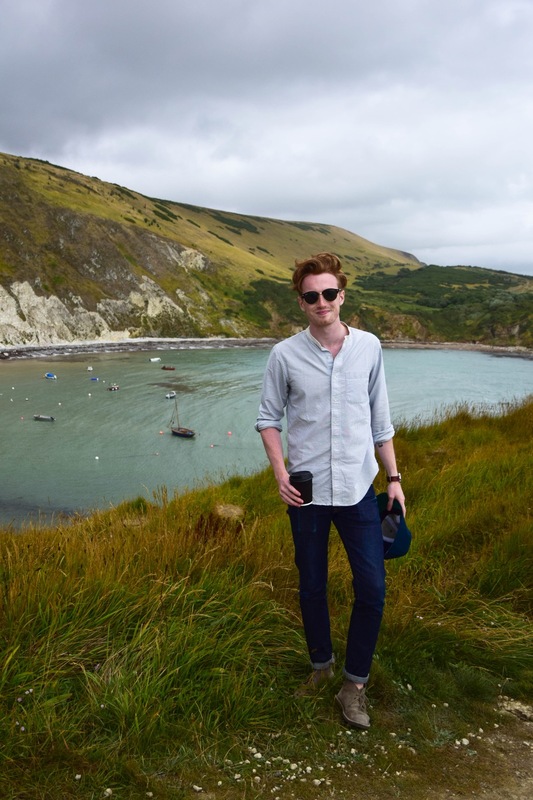 I felt like I was seeing a whole new side of Britain — which I suppose I literally was. I'm going to stay out of the way for most of these photos, as they're very numerous and I don't like the sound of my own type enough to interject witticisms and poor jokes between each and every one of the great many shots we took that day which I couldn't not share in this post. Some of these photos rank up in my all time favorites I've taken, but I can't take too much artistic credit when the subject was so effortlessly photogenic. 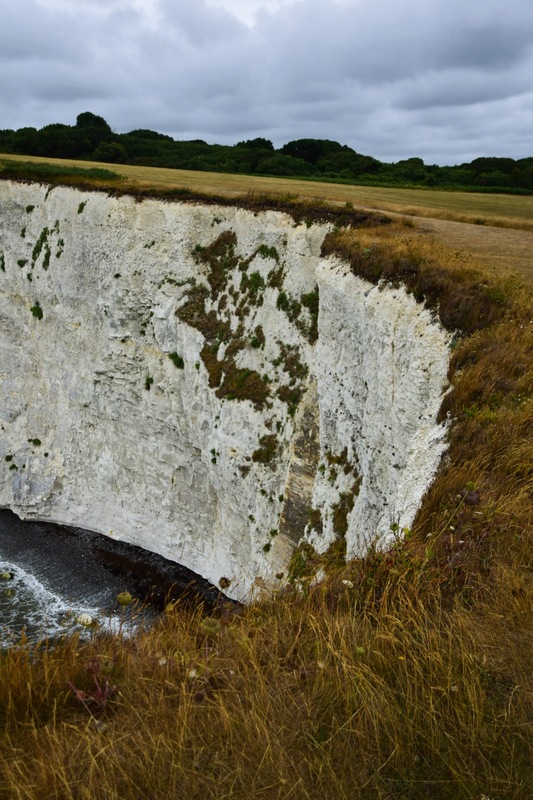 So with that in mind, here's just enough context to give these photos some flavor: we started, as I mentioned, at the Old Harry Rocks, which were about a 20 minute walk from where we parked, before the earth just fell away to reveal these chalky, grass topped cliffs. 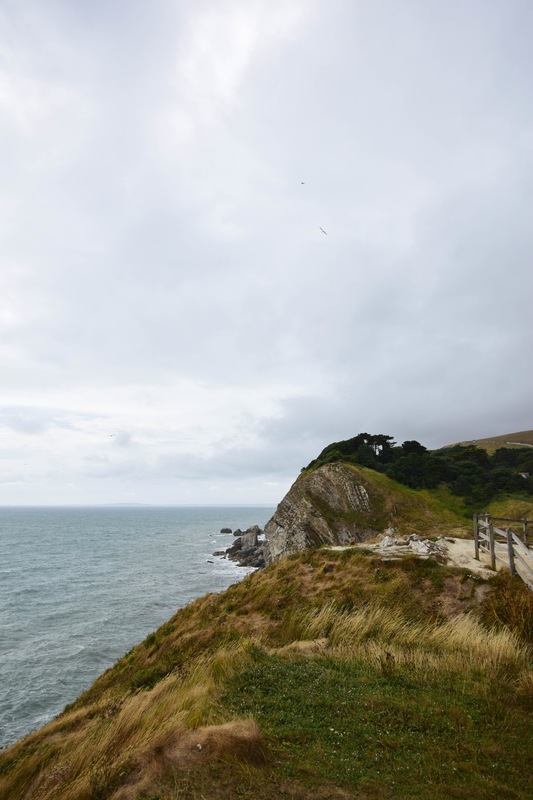 Their historic significance is debated, with tales ranging from pirates using them as traps to something to do with Henry the VIII to even the devil enjoying dancing on them. It was mighty windy, but the way the strong breeze ruffled through the grass was familiarly English, even in this seemingly foreign landscape. Lia really didn't want me to go out so far on this little jutting out piece of rock, but the path looked well-trodden so I figured it was safe. Worst case I fell off the edge of the world and had to swim to France. Hardly ideal, but far from a death sentence. 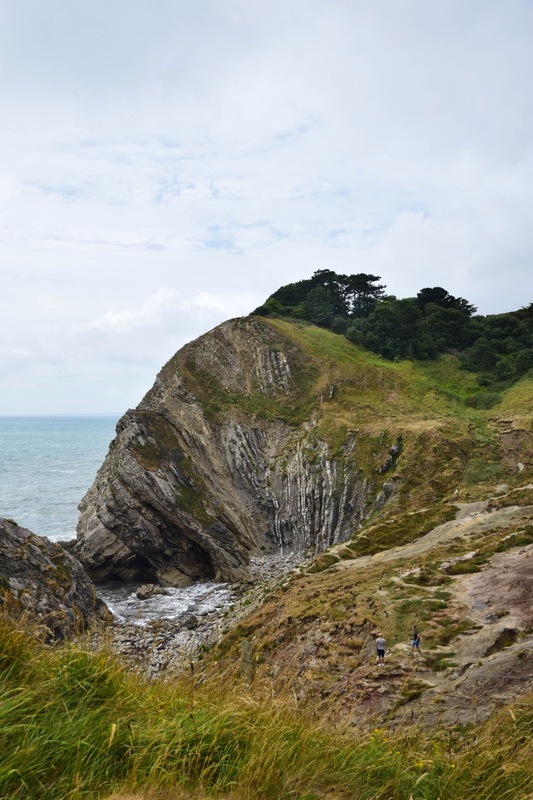 Seeing people trekking along the clifftops looked like something out of a storybook. A group on a bear hunt, perhaps. Swishy swashy. On our way to our next destination, I spotted a bunch of cars pulled over at a scenic spot. I dove off the road into a space in the row, and enjoyed the view — and a break from driving along hedge-lined roads — briefly alongside the other drivers eating their lunches at the wheel. 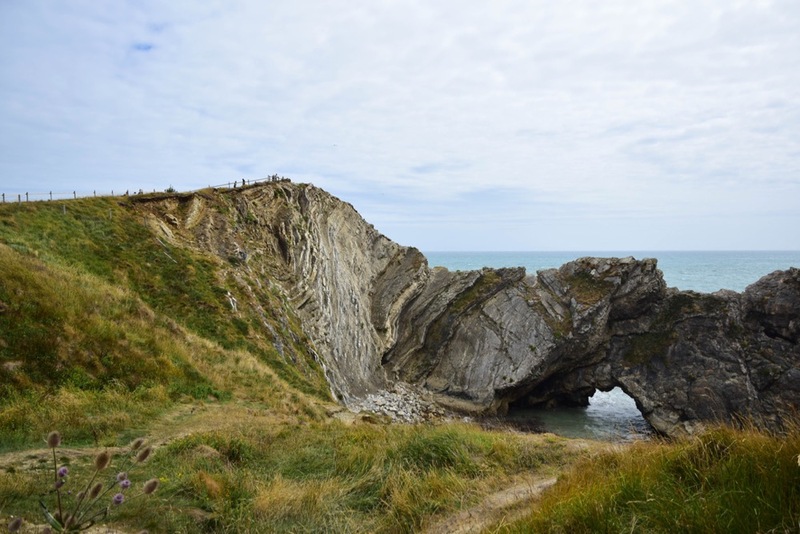 Once at Lulworth, we walked through the downtown on our way from the car park to the wonder, and along the path to our right was the most amazingly eroded rock formation, which looked to be melting like lava into a volcano into the small cove which had formed. We snuck over a fence further up the path, continuing our way to the top of the hill we were navigating. Then Lia had a photo with her coffee. Then I took a turn holding Lia's coffee. Oh here, let me get out of the way. 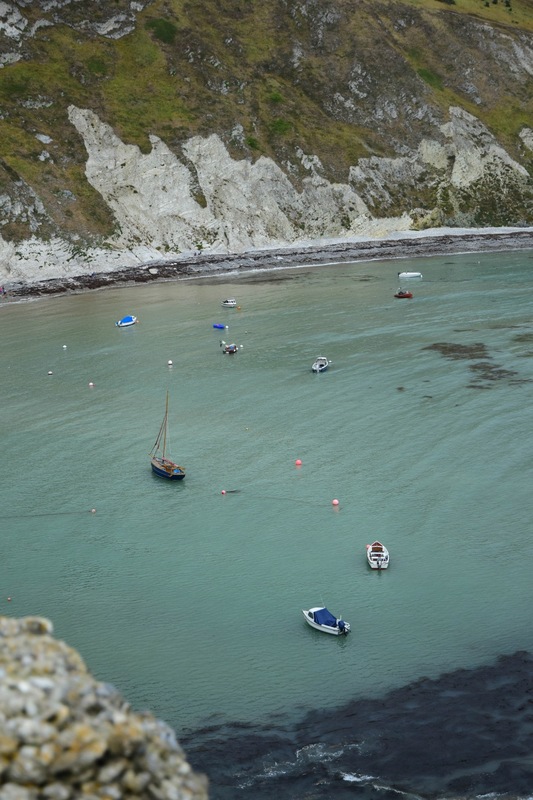 That would be the wonder, Lulworth Cove, our second of the day. Seeing small boats and people on the rocky, alien beach was a real contrast. 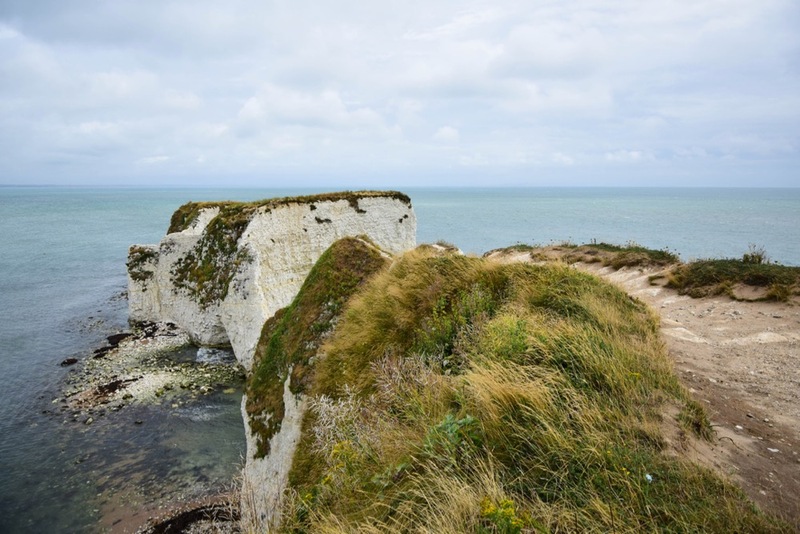 The landscape looked just otherworldly, so extreme and harsh that it looked like it belong on another planet, an inhospitable one that they'd land on in a sci-fi movie, much less a pretty little British Isle on regular old Earth. It was so perfectly spherical, which added to its alienness. Imagining sailing through those rocks into the bay made me think of Game of Thrones, my closest reference point to that level of landscape drama. Once we'd snuck up to the tippy top, by the time we'd gotten there we were the only ones, and had the place to ourselves. Save for one fierce bird friend. I'm not going to make some lame comment about the importance of reflection, but sometimes it pays to literally look behind you. 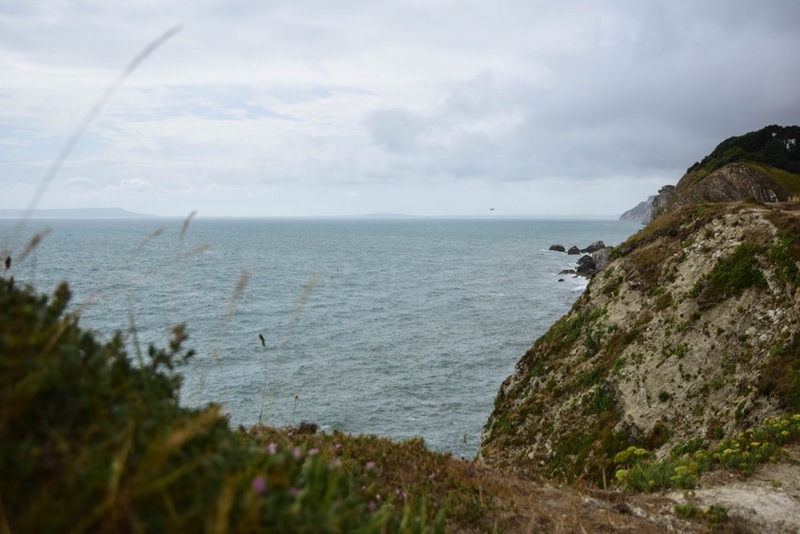 I particularly enjoyed the coastal flowers and plants, which were like coral in their ruggedness. Those tenacious little buggers had to put up with so much, and made the windy air around feel like underwater currents. 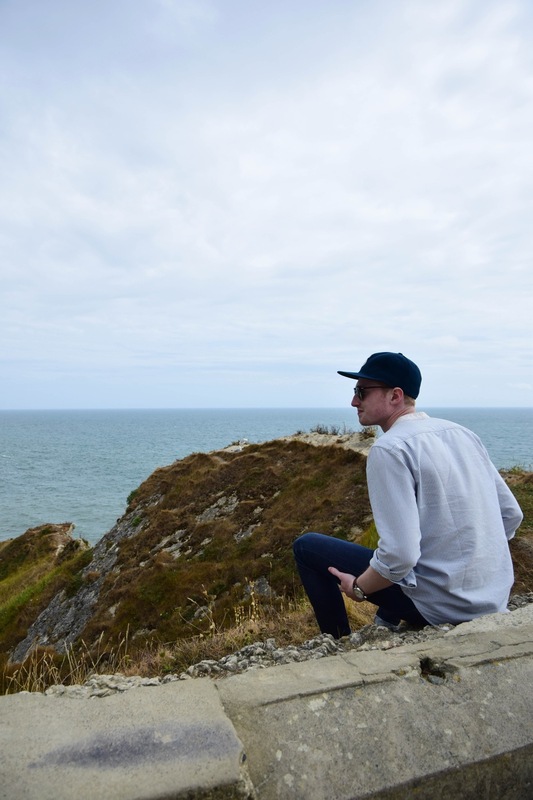 We meandered back through the town of Lulworth, keeping an eye on the time to stay on schedule. Boy, doesn't that make it sound fun? Our next stop was just around the corner, only a mile or so away. There was a coastal path we could've walked, but we were lazy and on a schedule, so drove and paid for parking. We later found out we needn't've paid for parking a second time, so the money lost became a laziness and stupidity tax instead. 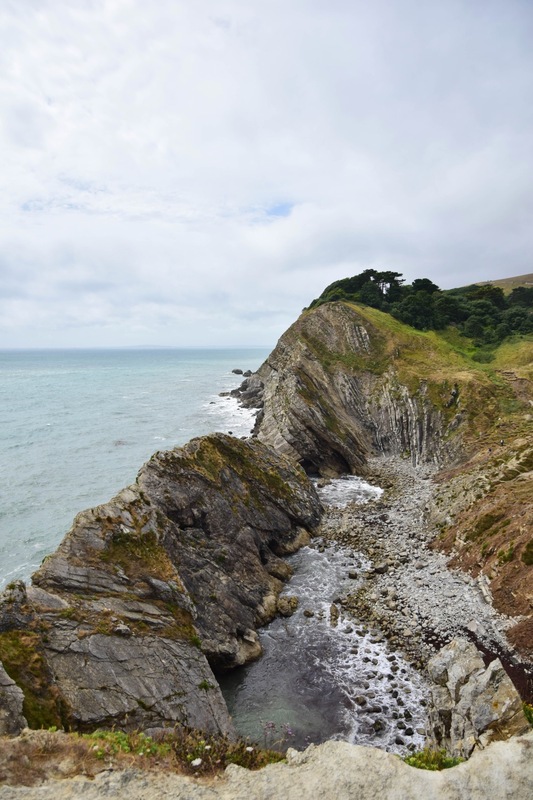 All this to say, the coastal path did look beautiful — if you had a few days to spend wandering. We'd come to see the sight Lia was most jazzed about, the Durdle Door. 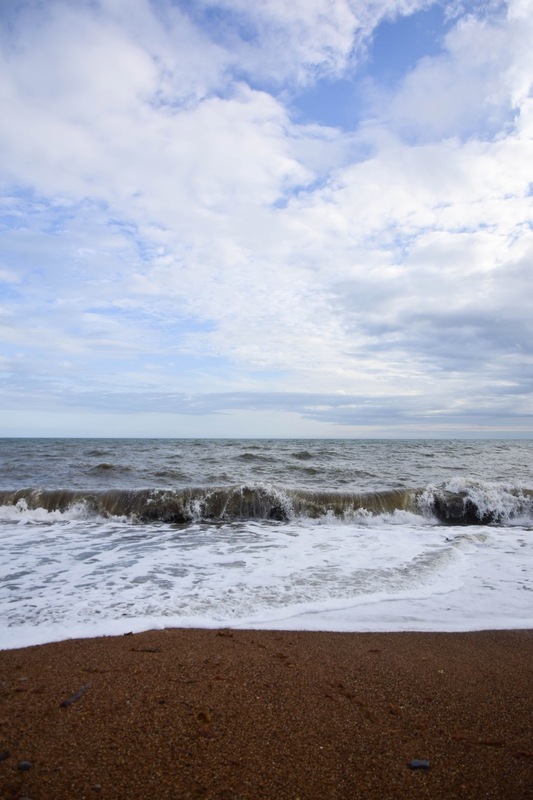 Along the pathway to it from the carpark, you first come to a terrifically vibrant beach. Keep walking along, and on the other side of the beach's bit of sticky out rock was the Durdle Door. 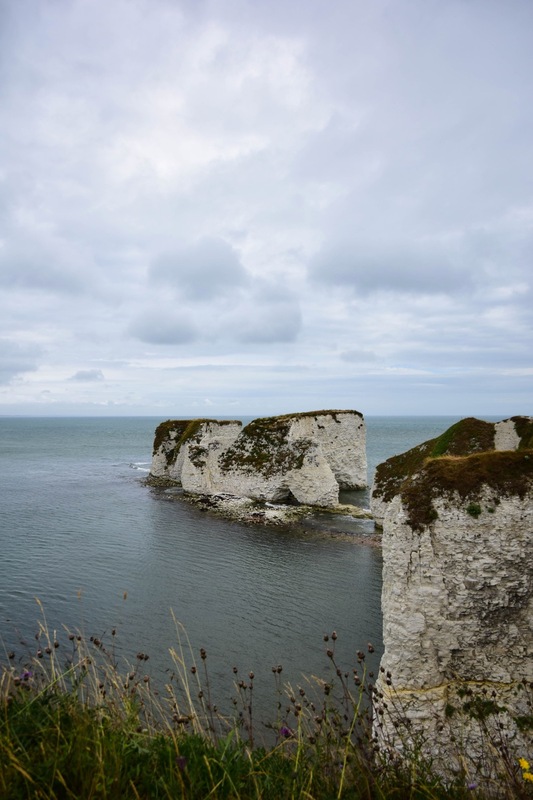 Lia was understandably afraid it probably didn't have much longer before it broke and caved into the sea, so had been anxious to see it in the rock before the unpleasantly thinkable happened. Pretty cool rock though. Pretty sweet beach in the opposite direction, too. Coastal pathway on top of those chalky cliffs. 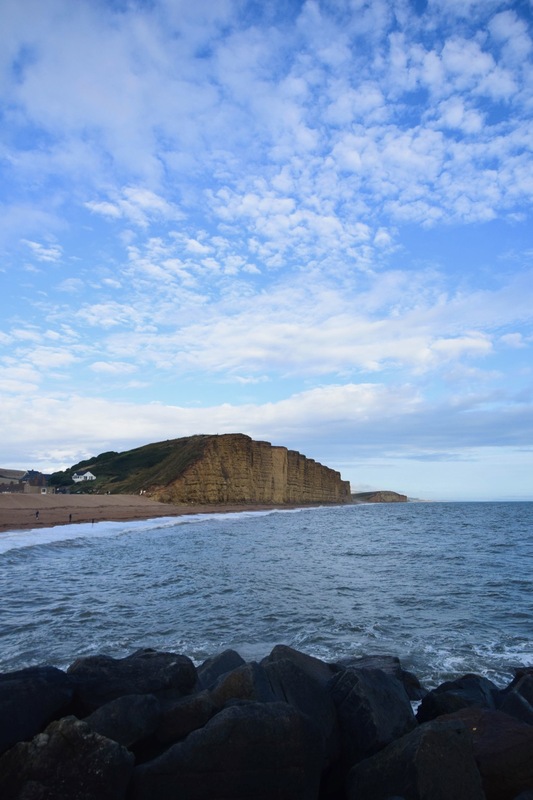 Our final stop of the day, post-mediocre chain pizza dinner in town, was West Bay in the town of Bridport, better known and recognized as the beach the town of Broadchurch is set on. 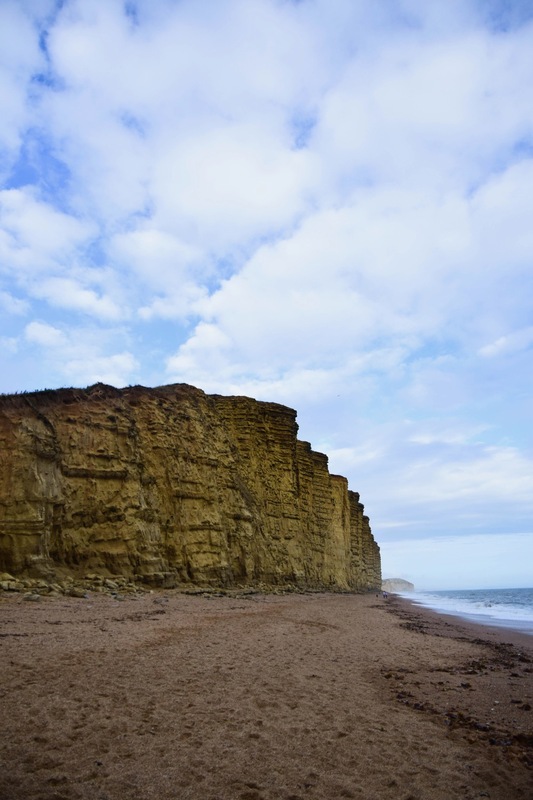 These cliffs were sandy, completing our Jurassic Coastline trifecta along with the rock and chalk we'd had up until that point. I love that it looks like Lia is balancing the people on the beach on her nose in that previous photo. 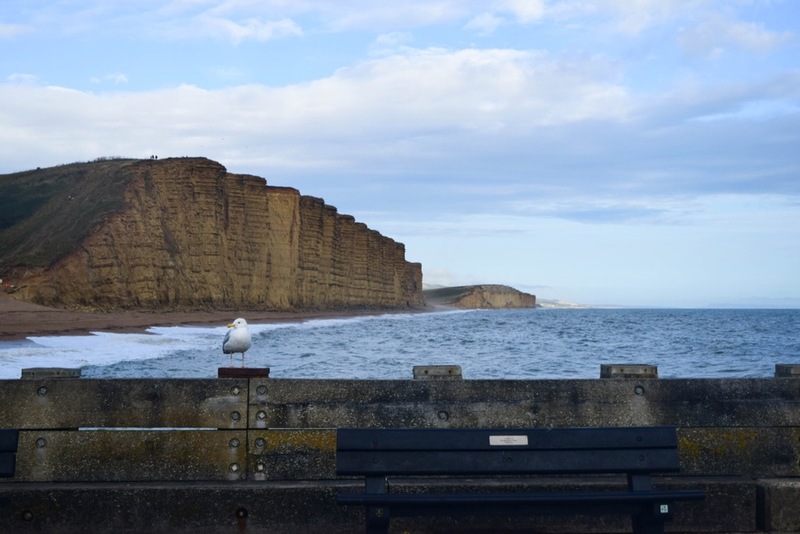 And in the next one, we met another camera-loving seagull. Perhaps it followed us all the way from Lulworth? That's thirst. We still had a further two hours to drive to Dartmouth, and I was anxious to get there to our Airbnb before it went completely dark in the hedge maze of a town it is. Being on such a punishingly pressing schedule made reflecting and truly digesting the things we were seeing somewhat impossible at the time, but having spent time sorting and editing these photos, I've gotten that chance to process how truly spectacular these most wondrous sights were. An important lesson in the value of finding the beauty around you. Growing up is good sometimes.